We are a quarter of the way into the NFL season but there are still a lot of questions for many teams. The Falcons and Panthers are still undefeated and just like everyone thought, the NFC South could be the best division. The Seahawks are one correct call away from likely being 1-3. The Philadelphia Eagles may have the worst offense in all of football. This season is just weird. And for those that play fantasy football, you are unlikely to escape it. For me, it was the same old story as it has been all year. I got zero production out of Matt Jones who played against the Eagles but the Philadelphia defense and special teams didn’t help me out either. I had to start Matt Hasselbeck at quarterback with the late injury to Andrew Luck. So I ended the week with just 57 total points. Fortunately for me, the other team could only put up 51 points. Thanks to a late Terrance Williams touchdown on Sunday night, I came away with the most embarrassing win in my fantasy football history. Outside of the terrible field goal percentage, the primetime games on Sunday and Monday night were the biggest talking points of the weekend. A long C.J. Spiller touchdown gave the Saints an overtime win over the Cowboys for their first victory of the season. A Monday night game in Seattle had it’s normal controversies after a Calvin Johnson fumble was batted out of the endzone. Because we were in desperate need of another controversial rule. 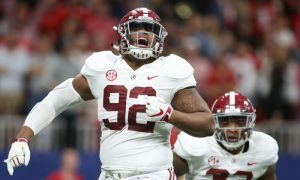 Alabama players stayed out of the spotlight for most of week four. Julio Jones had his first slow week with the Falcons going to the run game early and often. 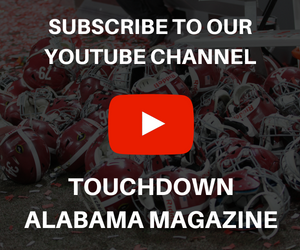 The former Crimson Tide running backs had strong performances but couldn’t find the endzone. Amari Cooper was the only one who had a touchdown. So let’s get to our weekly recaps and preview of the upcoming week. 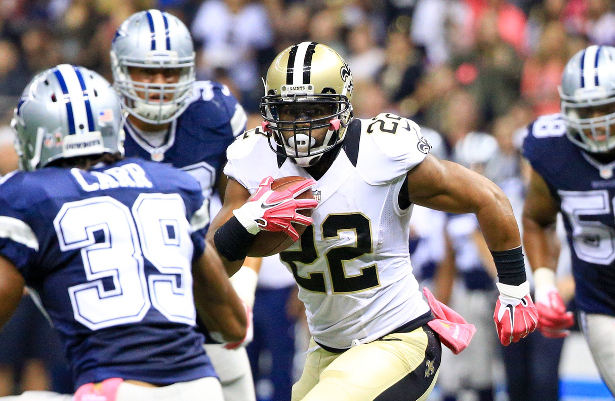 Mark Ingram was the points leader for last week after gaining 128 total yards on 23 touches. 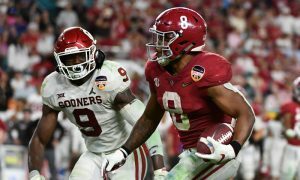 It was his third double-digit performance in four weeks and has the 8th most points among running backs, according to ESPN. Spiller is becoming more of a threat in the passing game but with Brees back from injury, Ingram will likely get the majority of the carries while all running backs split time on passing downs. In the pass heavy offense, Ingram got seven targets (16 percent of the attempted passes) and 17 carries (70 percent of carries). This week Ingram will have to face a Philadelphia team that hasn’t allowed a rushing touchdown yet this season. Spiller and Khiry Robinson will likely see more playing time than they have yet this season. Carries won’t be taken from Ingram but the Saints likely won’t be relying on the running game on the road this weekend. I have Ingram getting 18 carries for 56 yards and three catches for 22 yards, finishing with seven fantasy points in week five. Although, I have often been wrong on Ingram so far this season so he is still a definite starter this week, in the Flex spot at the worst. Amari Cooper finished with 10 fantasy points in standard scoring leagues after catching four passes for 49 yards and a touchdown against the Bears. Cooper got nine targets from Derek Carr, as the duo continues to lead the Raiders back to relevance. This week, Cooper will have to face one of the best secondaries in the league. Denver comes in to Oakland this weekend allowing the second-least amount of points to wide receivers in fantasy. They allowed just 10 receptions in the first two weeks and they allowed their first touchdown last week against the Vikings. Teddy Bridgewater and Mike Wallace hooked up eight times and exposed the Broncos a little bit. Carr and Cooper will hope to at least replicate that performance this week. I think Cooper gets by the Denver defense on what should be a field without dirt this week in Oakland. The Broncos hope to get up early, leaving Carr and the Raiders with no choice but to air it out. If Cooper can get on the board early, this could be an interesting game. If not, expect him to at least get one in garbage time. I have Cooper finishing with 8 catches on 16 targets for 85 yards and a touchdown for 14 fantasy points. Cooper has solidified himself as a WR1 on any fantasy team and could continue to improve throughout the year. T.J. Yeldon moves his way up the list after his first 100-yard rushing performance of his young career. The rookie ran for 105 yards on 22 carries while catching two of his three targets. He has yet to get into the endzone for the Jaguars, unlike how I predicted. Jacksonville faces Tampa Bay this week who shut down the Carolina running game in week four after giving up 100-plus yards and at least one touchdown in each of their first three games. The Jaguars match up well against the Buccaneers and Yeldon could get the offensive load, especially late in the game if they have a lead. Yeldon is the clear number one back still and there’s no reason for that to change. 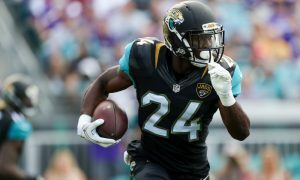 However, fantasy owners want to see more production and consistency out of Yeldon before he begins slipping toward the bench. I predicted his first touchdown to come last week but the Jaguars had to settle for redzone field goals twice in the first half. 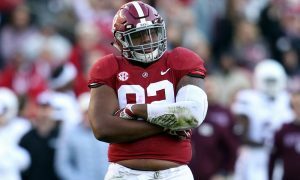 This week should be the week he gets on the board before people will start questioning Yeldon or the coaches. I’ve got him sitting at 20 total touches in week five, gaining 110 total yards and getting into the endzone against Tampa Bay. That adds up to 17 fantasy points, and this week’s projected number one running back in the Crimson Fantasy. Eddie Lacy appeared to be back to 100 percent coming off a minor ankle injury and got 19 touches in the Packers win over San Francisco. 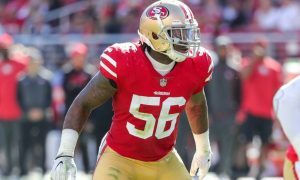 The 49ers defense once again stepped up their game at home for a good offense but Lacy still finish with 93 total yards of offense without a touchdown. He had his season-high in rushing yards (90) but only caught one of three targets for a three-yard gain. Lacy is still one of the biggest weapons on the league’s top offense and won’t go many more weeks without hitting double digits in fantasy points. The Rams defense has given up double-digit points to running backs every week this season. On the road, they gave up two touchdowns to Washington’s Matt Jones and a receiving touchdown to David Johnson last week in Arizona. Lacy could end up seeing more yardage this week in the passing game but will still get plenty of touches in both aspects. I have Lacy finishing the day with 107 total yards of offense with one touchdown, giving him 16 total fantasy points for the week. Julio Jones is on the bottom of this list for the first time all season. It’s nothing that he did wrong though. He was only targeted six times in Atlanta’s blowout victory of the Texans last Sunday. The Falcons used Devonta Freeman and the run game to get a big lead and Jones didn’t receive much attention after that. The defense helped extend the lead and Jones sat out most of the second half. This week has a possibility of not being any different but it’s hard to see the league’s top receiver having two straight weeks without a touchdown, especially against a less-than-mediocre Washington secondary. They have given up six total touchdowns to receivers already this season, four in the past two weeks. Matt Ryan and Jones will surely find a way to exploit that and get the former Tide star back on the scoreboard. I have Jones being the number one player this week, projecting 10 catches for 115 yards and – this one is bold – two touchdowns. (Get it?) That would put Jones at 23 points for this week, which would still just be his third best performance of the year.